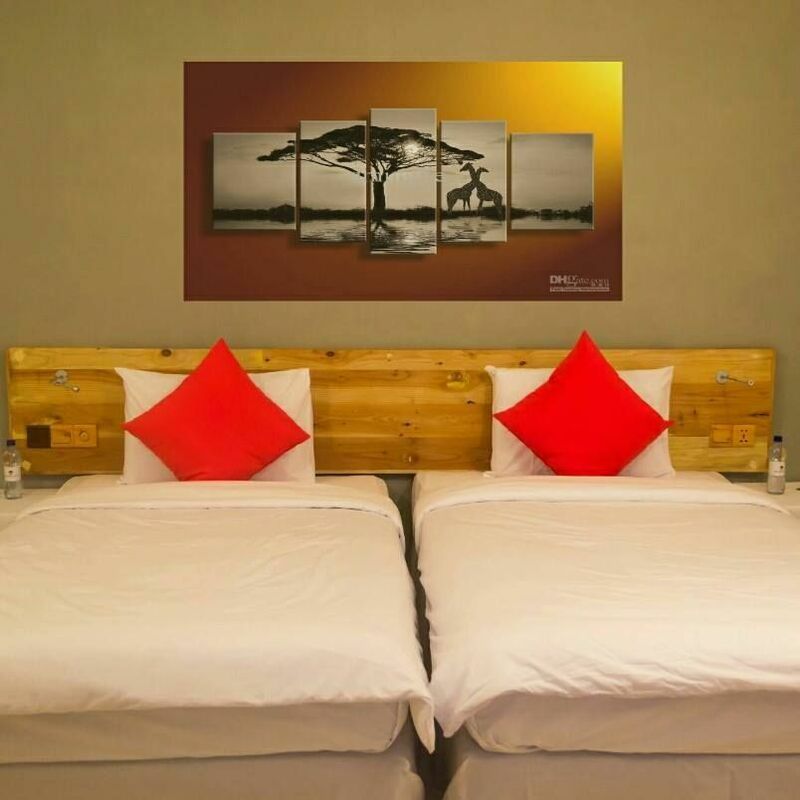 Our accommodation 1 in Guraidhoo provides modern rooms with a flat-screen TV, mini bar.Some units include a seating area to relax in after a busy day. 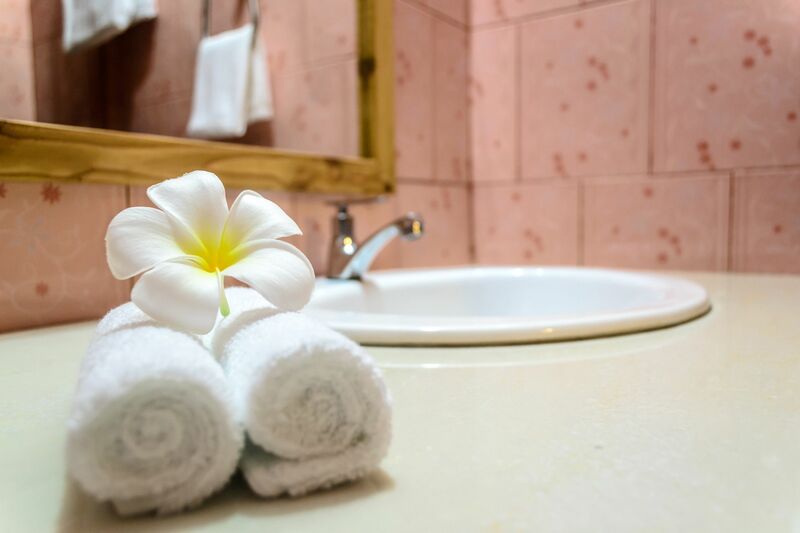 Each room is equipped with a private bathroom including free toiletries and a hair dryer. 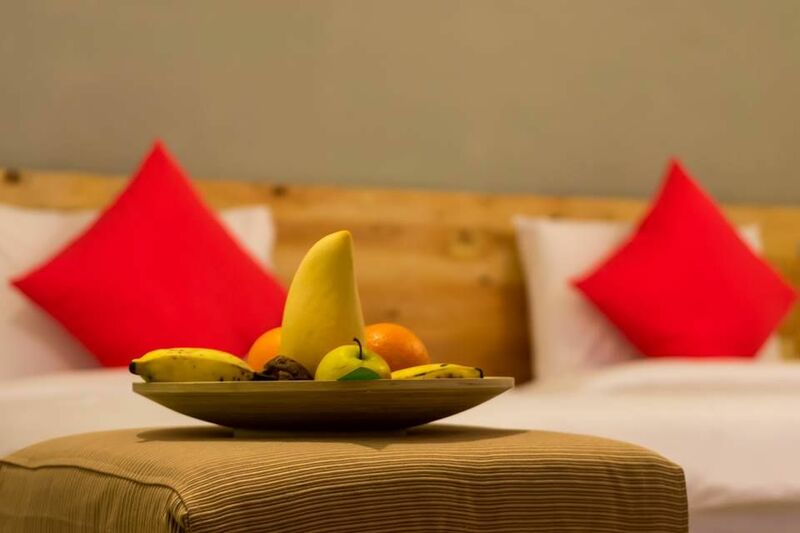 Guraidhoo Palm Inn features free Wi-Fi throughout the property. 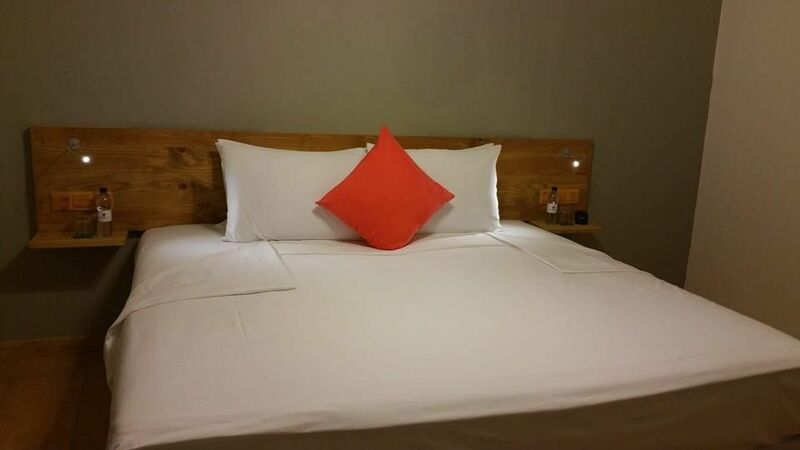 We do have total of 15 rooms with 3 different categories: Single Room , Double Room and Tripe Room. - Bathroom: Shower, Hairdryer, Free toiletries, Toilet, Bathroom, Guest bathroom, Towels/Sheets (extra fee). Towels and Linens. - Outdoors: Grounds, Terrace, BBQ Facilities, Sun Deck and Balcony. - Pets: This property doesn’t accept travelers with pets. - Activities: Diving, Snorkeling, Fishing, Library, Pool table, Windsurfing, Canoeing, Water Sports Facilities (Water skiing, banana boat ride, Speed boat rides, Sandbank trips...),Evening Entertainment, dolphins watching. - Living Area: Desk and Sitting area. - Food & Drink: Restaurant (Local food & international), minibar, Restaurant with Dining Menu, Buffet-Style Restaurant. - Internet: WIFI is available in all areas and is free of charge. - Front Desk Services: Express Check-in/Check-out, Baggage Storage and Private Check-in/Check-out. - General: Room Service, Non Smoking Rooms. Packed Lunches, Air Conditioning, Designated Smoking Area, Shuttle Service (surcharge), Airport Shuttle (surcharge). Shared Lounge/TV Area, Grocery Deliveries, Iron, Ironing facilities, Fan, Tile/Marble floor and Wake-up service. to be confirmed by management.Additional fees are not calculated automatically in the total cost and will have to be paid for separately during your stay. - Rate for non-diver: Single room: $50 Double room: $75 Tripe room: $90 (taxes and fees included) per night. Under our diving package: $45 (taxes and fees included) per night. In this prices are included bed and breakfast. Our accommodation 2 in Guraidhoo is one of the standardized guest houses in the center of the island, offering 4 comfortable rooms with free WiFi, prestige lounge with satellite TV, Restaurant with Asian and western cuisine, great out doors, nice restaurant with extremely friendly stuff. - Internet: WIFI is avalable in all areas and is free of charge. - Front Desk Services: 24-Hour Front Desk, Currency Exchange, can pay by credit card. - Children and extra beds: Childs under 2 years old stay free in of charge, child under 12 it is cost $10 a nigth for extra bed, Any additional older children or adults are charged USD 20 per night for extra beds,maximum number of extra beds in a room is 4,Additional fees are not calculated automatically in the total cost and will have to be paid for separately during your stay. - Rate for non-diver: $50 (taxes and fees included) per night. Under our diving package: $40 (taxes and fees included) per night. In this prices are included bed and breakfast.